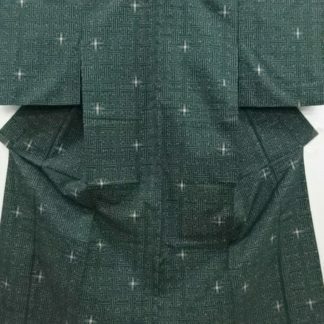 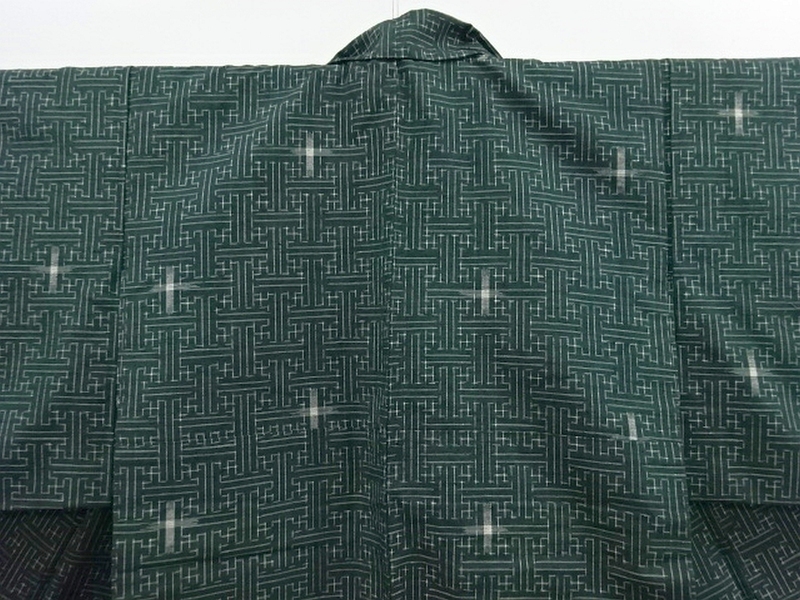 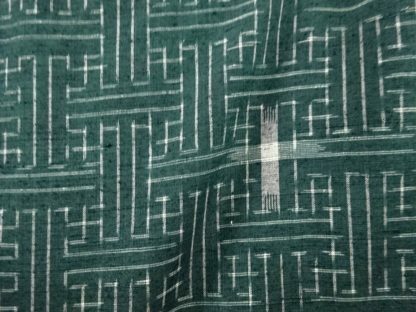 A gorgeous antique mawata (handspun and hand woven) tsumugi silk kimono with a woven sayagata & crosses pattern, in a deep cool green. 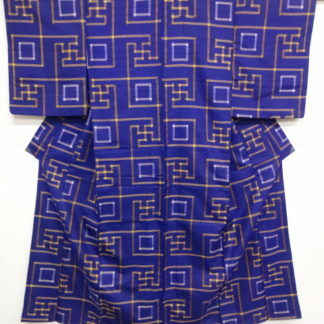 This piece is superb and in excellent condition for the age. 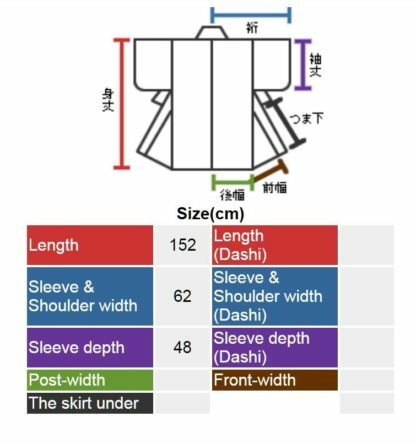 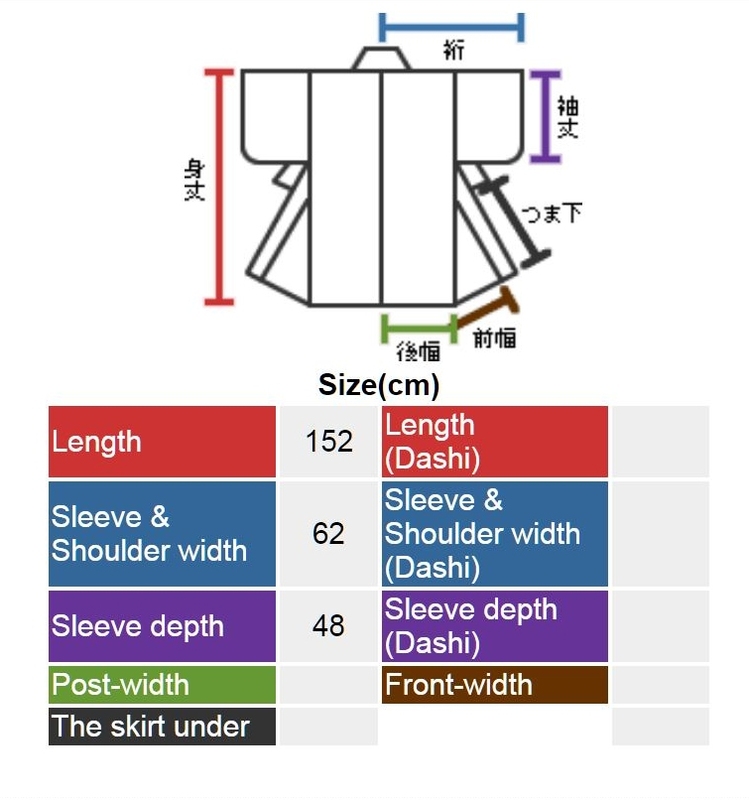 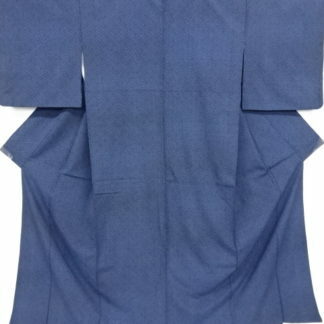 It measures 152 cm long, the wingspan from centre seam to sleeve edge is 62 cm, and the sleeve drop is 48 cm. 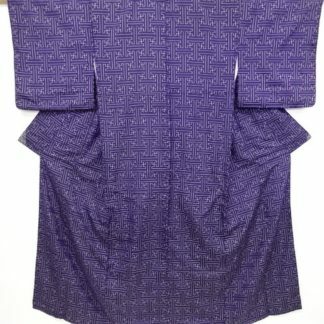 this is a lovely example of an artisanal kimono. 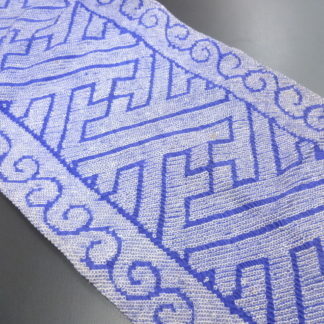 The floss is handspun . 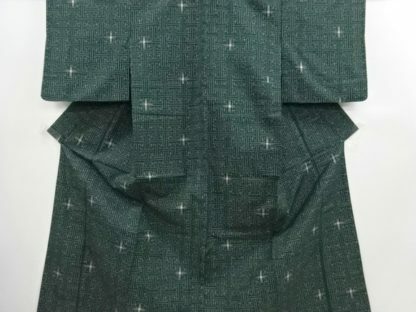 The spinner uses saliva to adhere the new threads to the old ones. 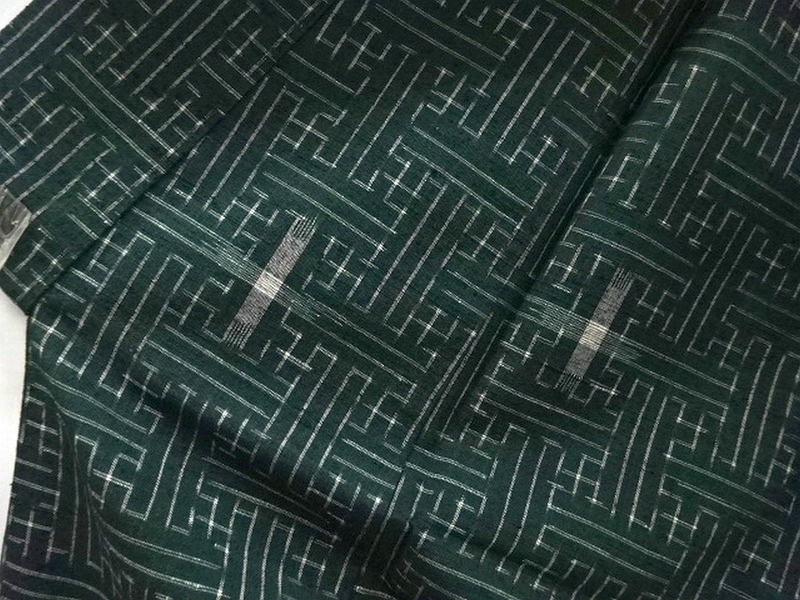 This produces the characteristic sheen and stiffness of tsumugi. 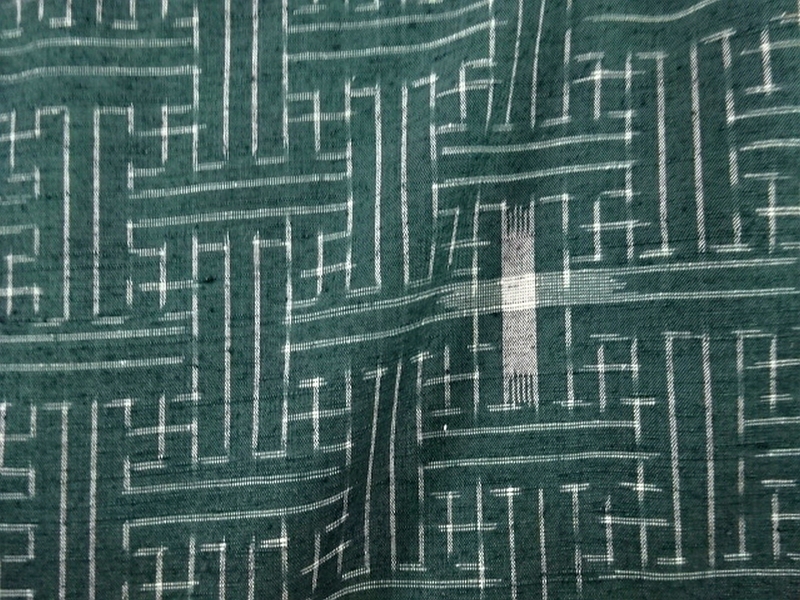 After spinning, the thread is dyed and then woven into tsumugi. The most popular patterns include shima, ichimatsu, and kasuri. 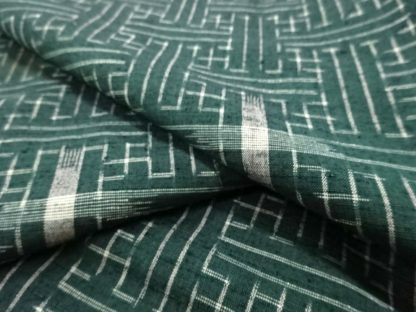 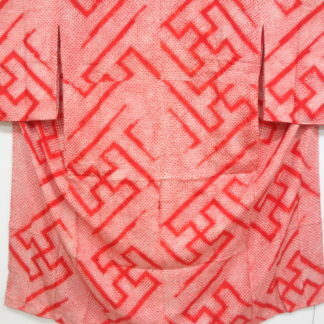 After weaving, the fabric is steamed to set the dyes and then made into kimono.